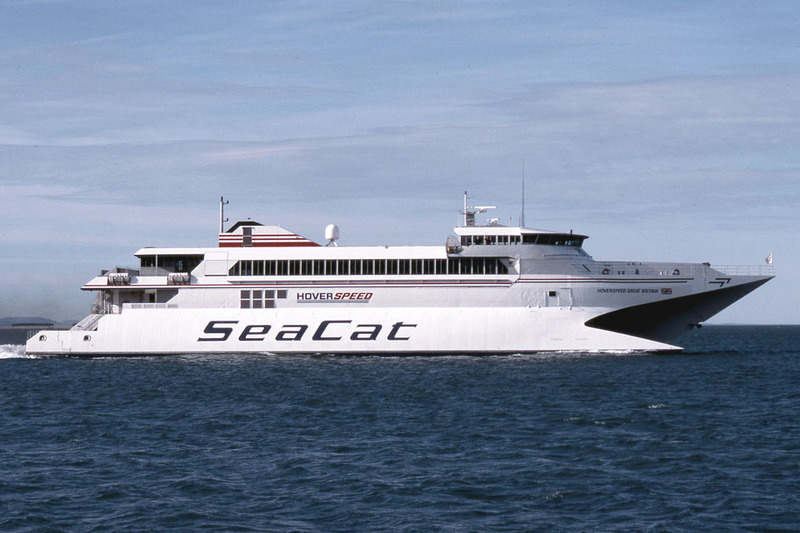 Engines: Four 16-cyl, Ruston 16RK270 diesels. 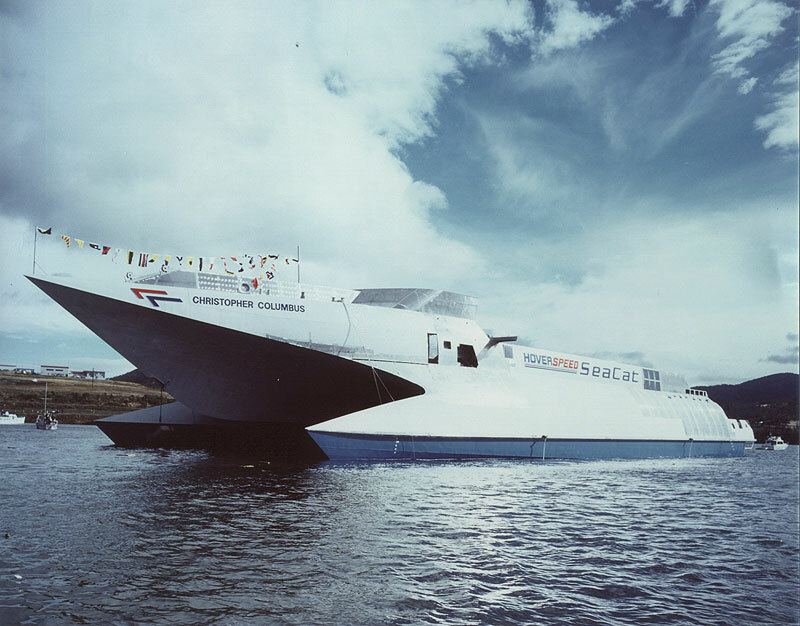 January 28th 1990: Launched and named CHRISTOPHER COLUMBUS. 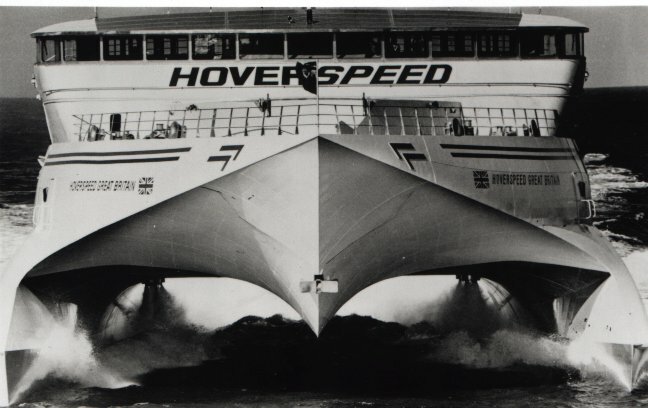 The name was subsequently changed to HOVERSPEED GREAT BRITAIN prior to delivery. 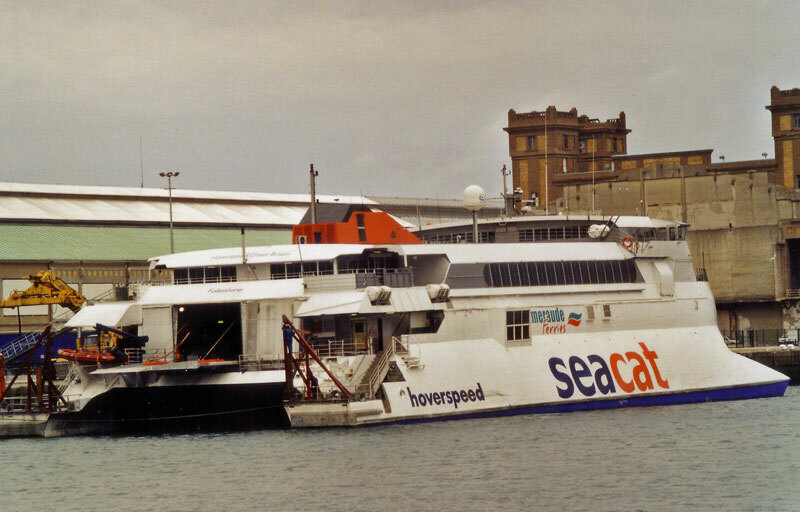 April 1990: First sea-trials on the Derwent river, Tasmania. 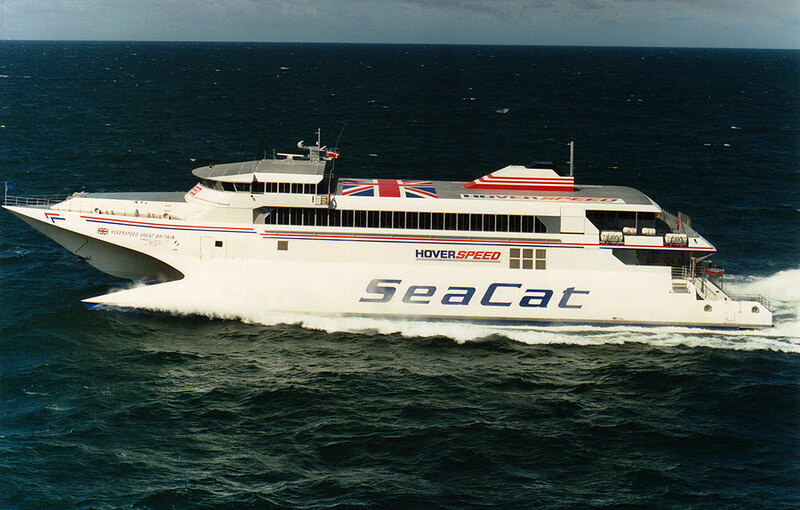 May 1990: Delivered to Hoverspeed, Ltd, Nassau, Bahamas. 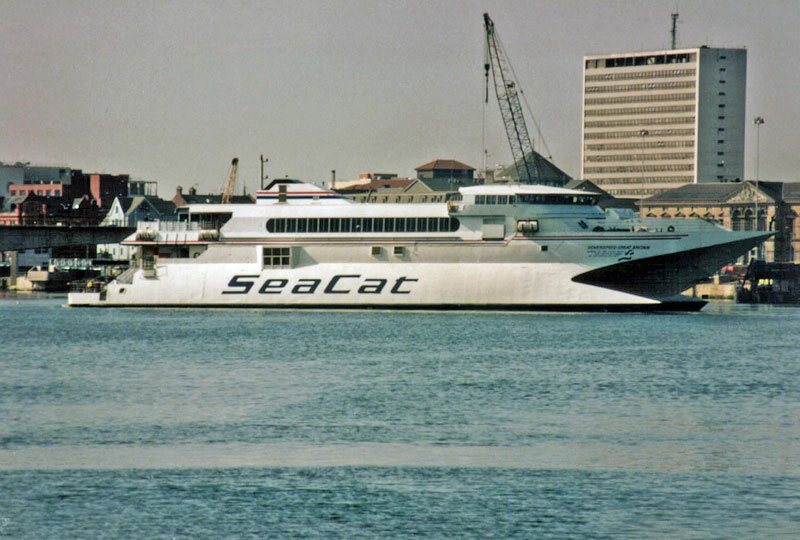 May 1990: Left builders yard Punta Arenas – Rio De Janeiro – Nassau bound for New York. © Chris Howell (Bluff NZ, 10/5/1990. 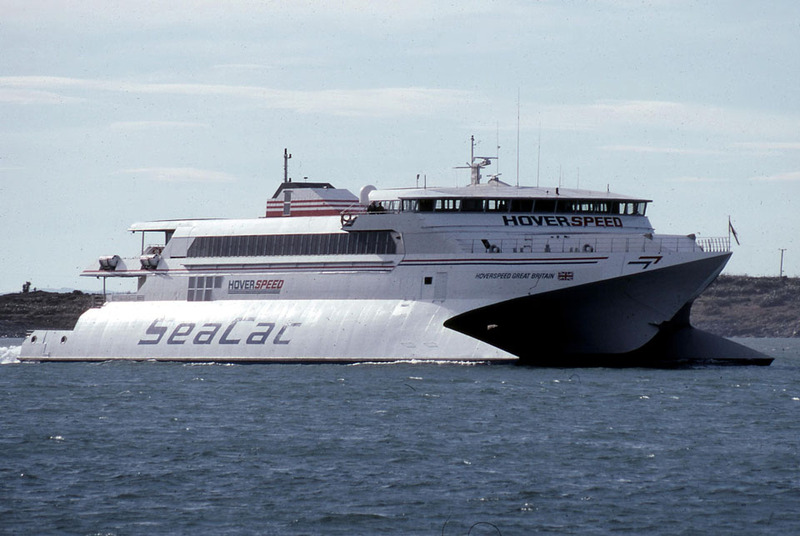 She arrived 0330 from Hobart and departed 1330 for the UK). 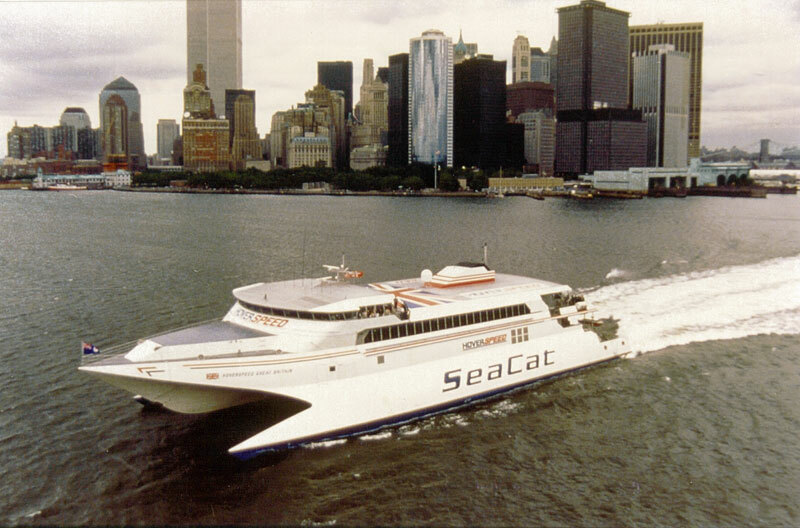 June 11th 1990: Arrived in New York. 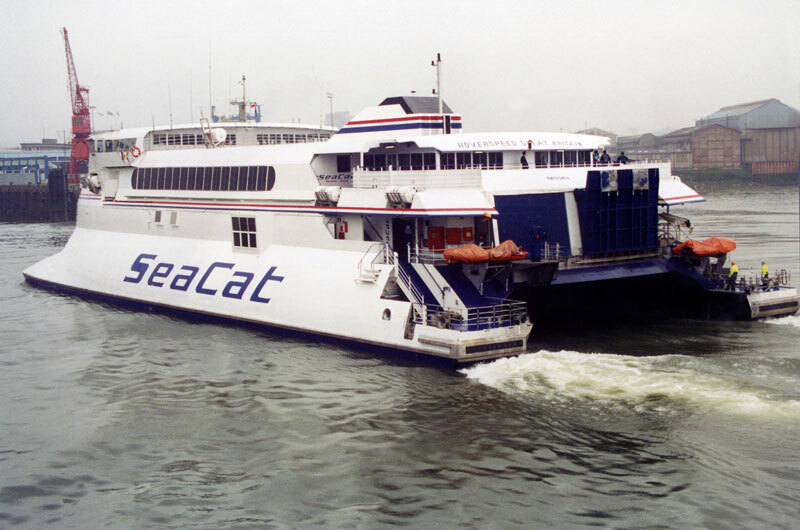 June 19th 1990: Left New York bound for Falmouth. Entered the Hales Trophy challenge and broke SS UNITED STATES 38 year old record. 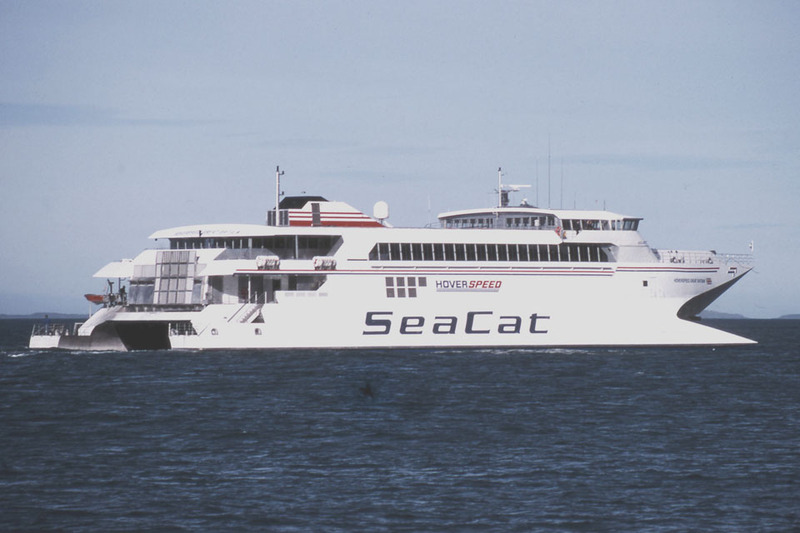 The craft established the record of three days, seven hours and 52 minutes averaging 36.65 knots and in so doing won the “Blue Riband” and the trophy. 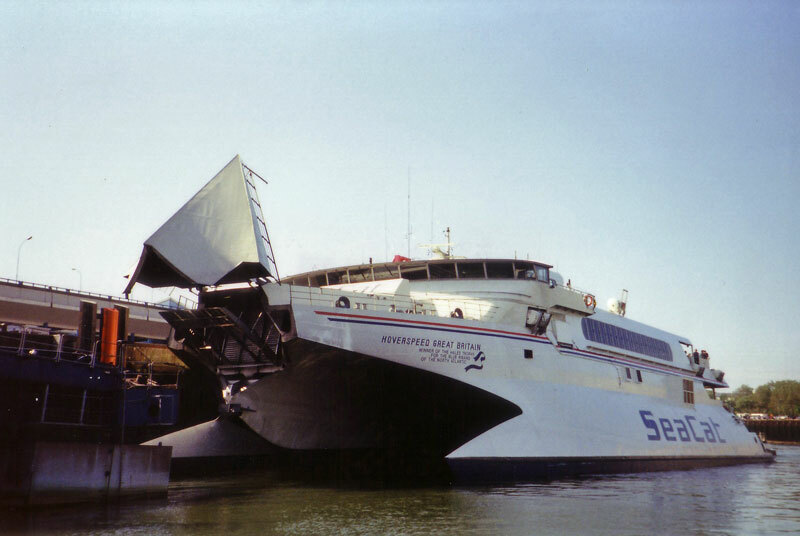 June 23rd 1990: Arrived at Falmouth. 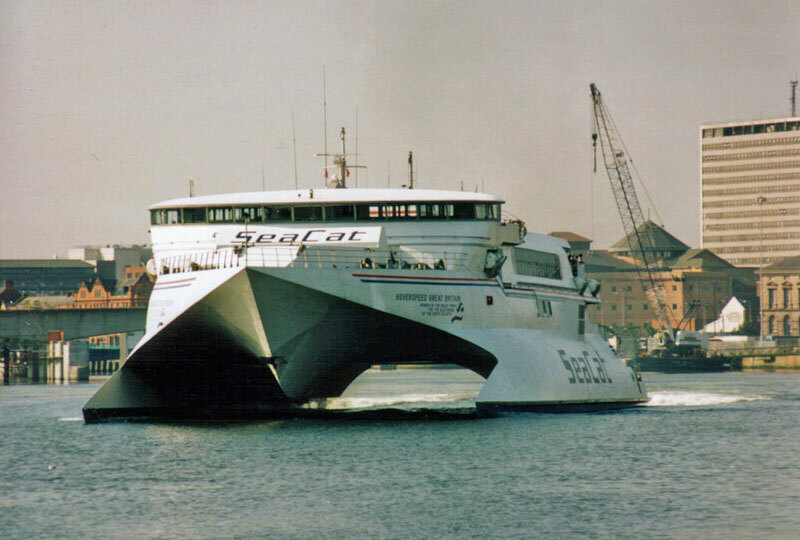 August 14th 1990: Maiden voyage from Portsmouth to Cherbourg, but plagued by technical problems during her first season. 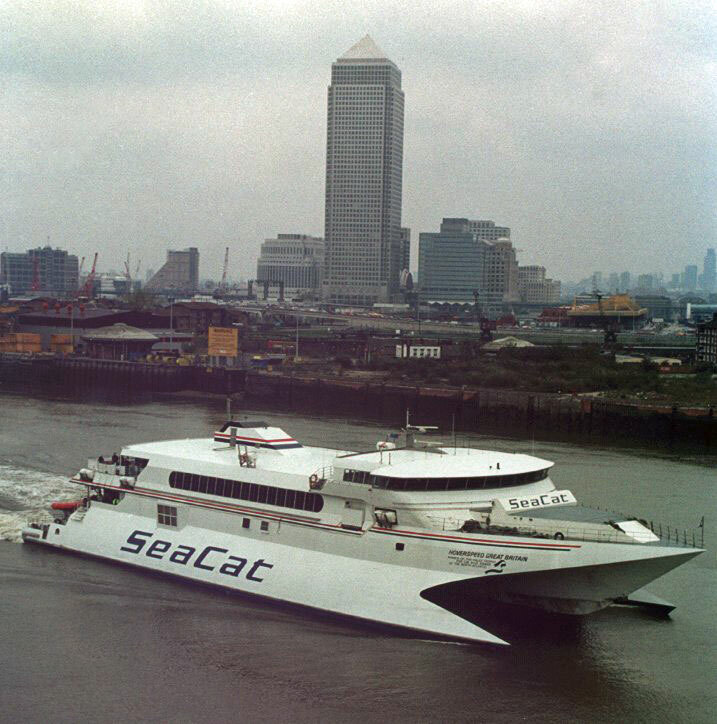 November 1990: Publicity sailing to Isle Of Man. 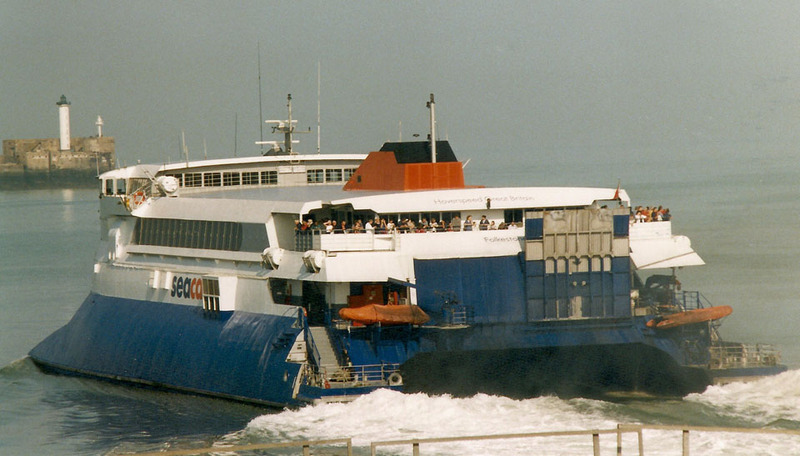 November 6th 1990: Crossed to Heysham. 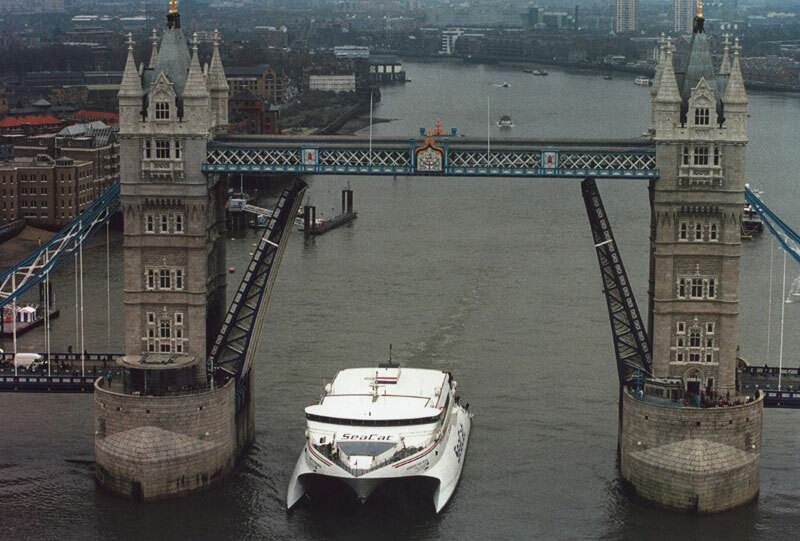 November 20th 1990: To Dover where she made crossings to Boulogne and Calais before sailing to the Pool of London for the presentation of the Hales Trophy. 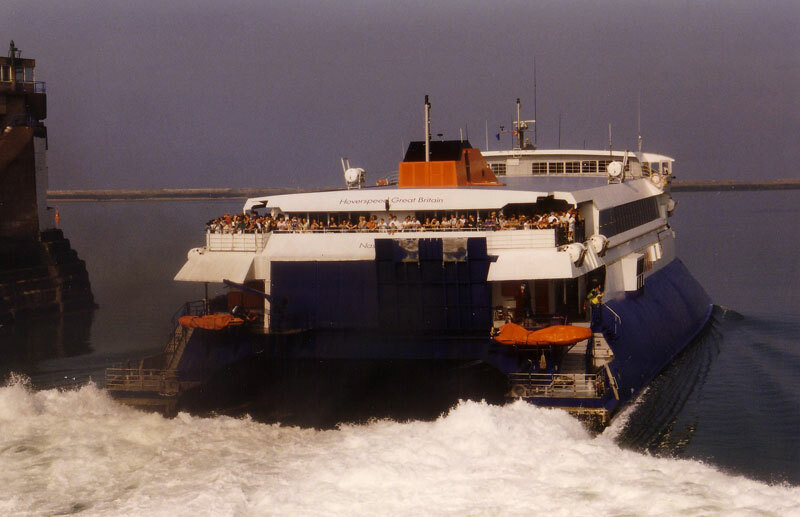 January 8th 1991: A final crossing between Portsmouth and Cherbourg. 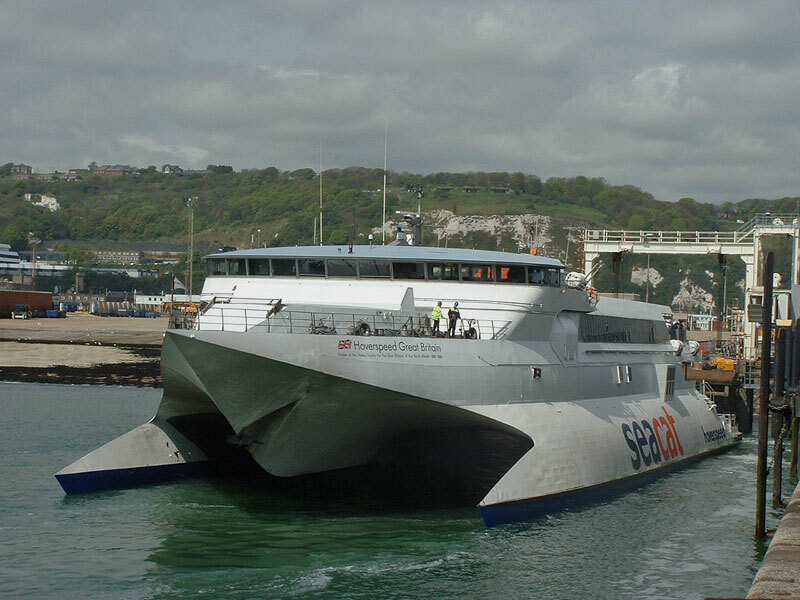 Then to Cherbourg for extensive refit. 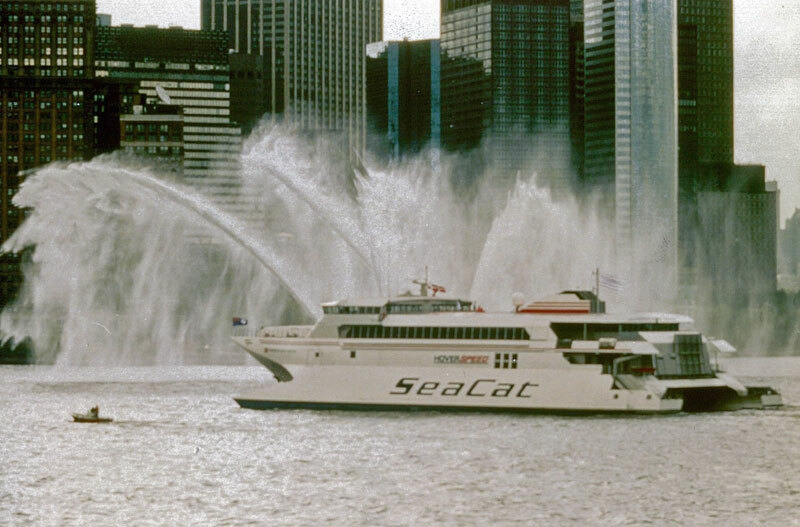 June 2nd 1991: Projected re-entry in to service. 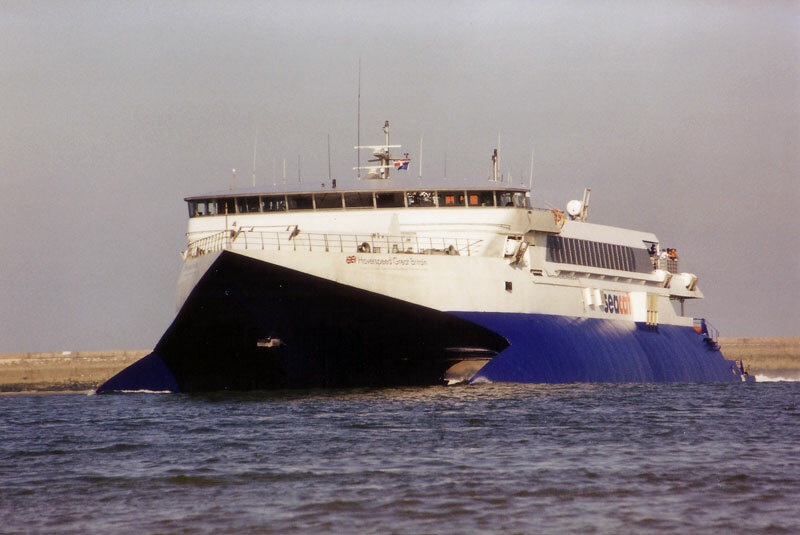 July 20th 1991: Entered service Dover – Calais/Boulogne. 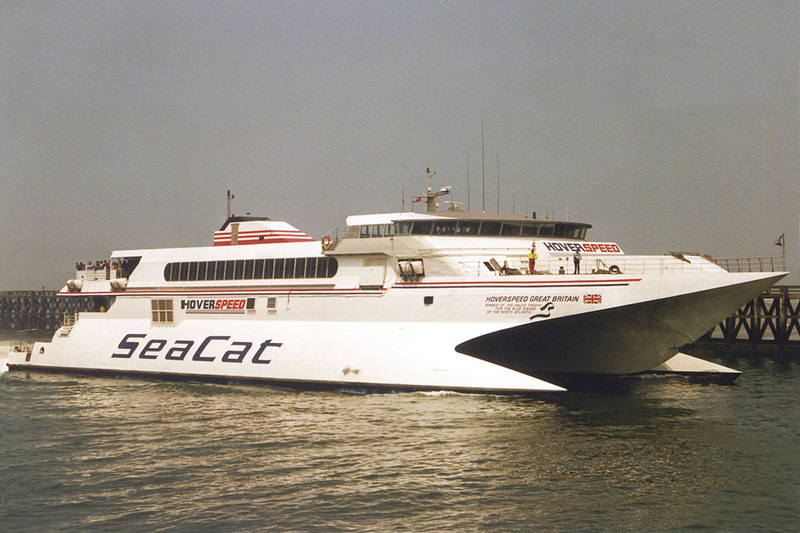 December 1992 – March 1993: Charted out to Ferrylineas Argentinas S.A., Buenos Aires, Argentina. 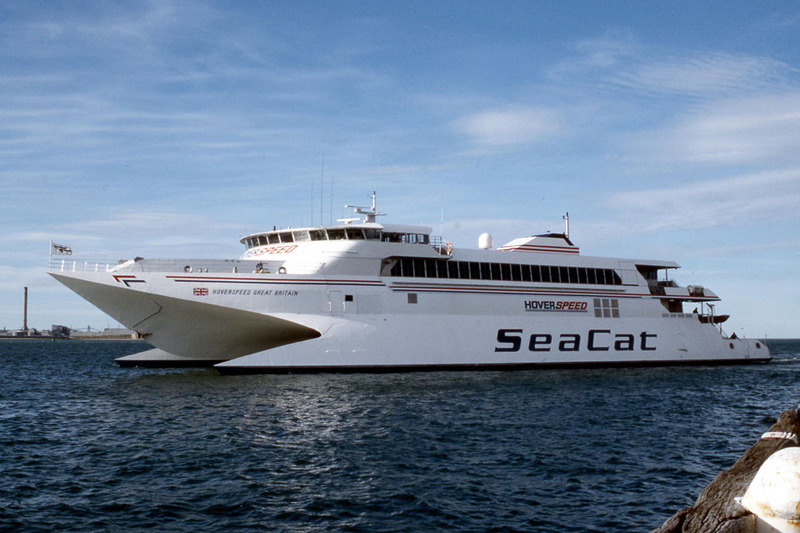 Commence service between Buenos Aires – Colonia, at he same time transferred to the Argentinian flag. 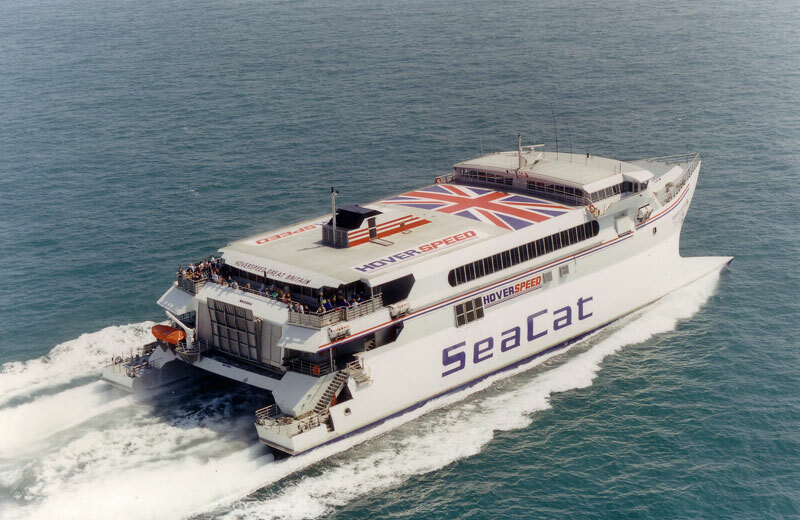 1993: Commenced service between Stranraer – Belfast. 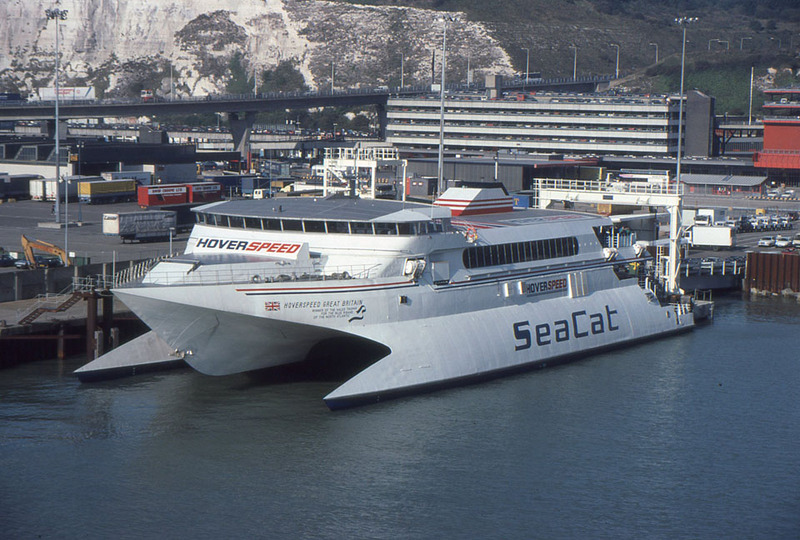 November 1993: Introduced between Dover – Calais/ Boulogne. 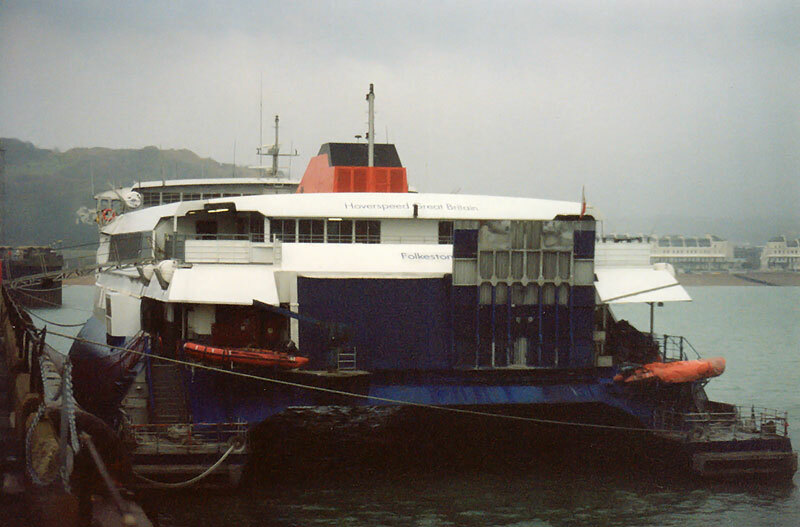 March 1994 – December 24th 1994: Service between Folkestone – Boulogne. 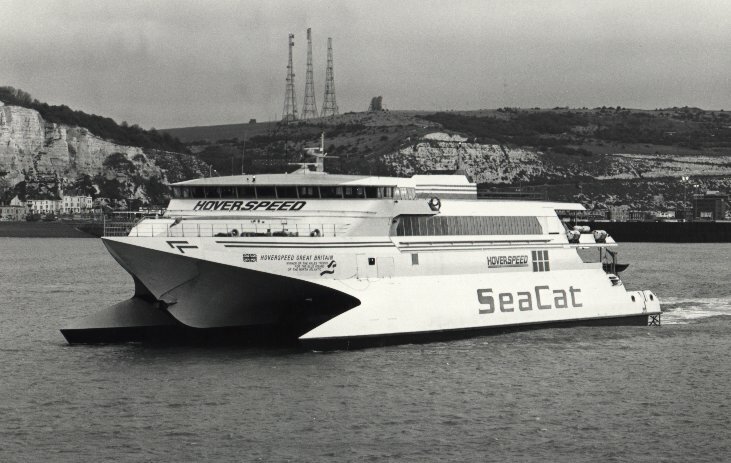 January 1st 1995: Commenced service between Dover – Calais. 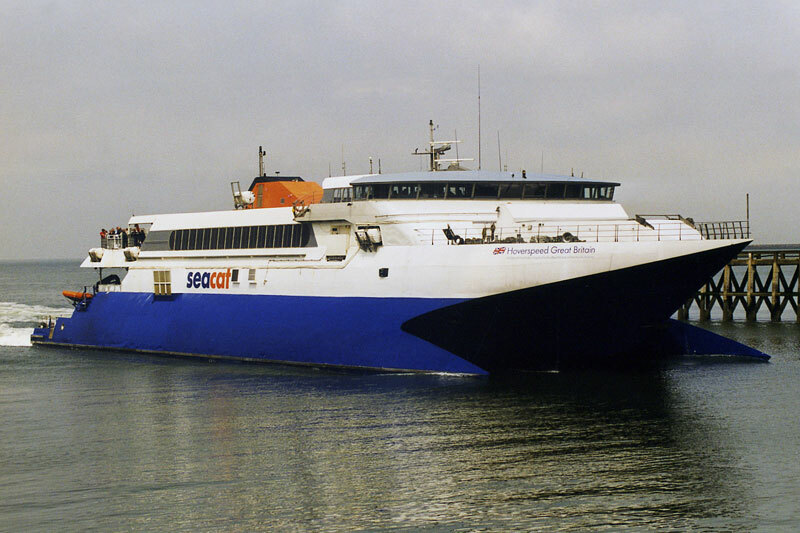 March 31st 1995: Commenced service between Folkestone – Boulogne. 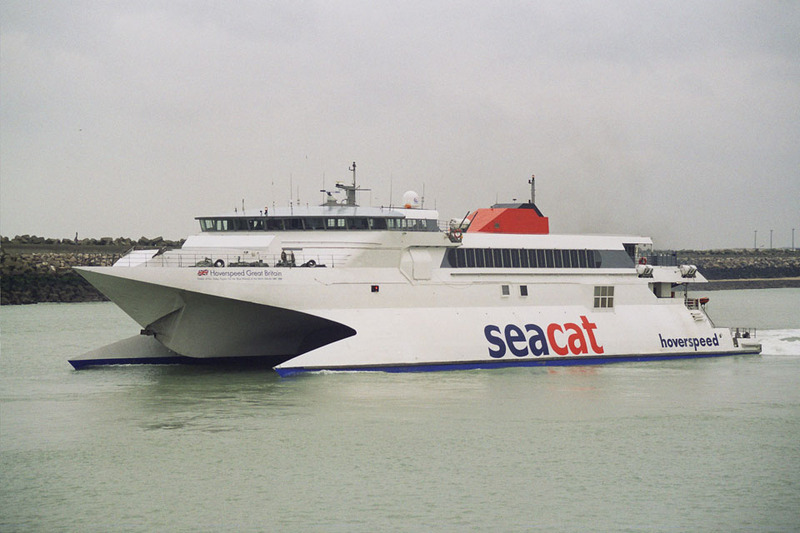 November 1st 1996 – February 7th 1997: Operated between Dover – Boulogne. 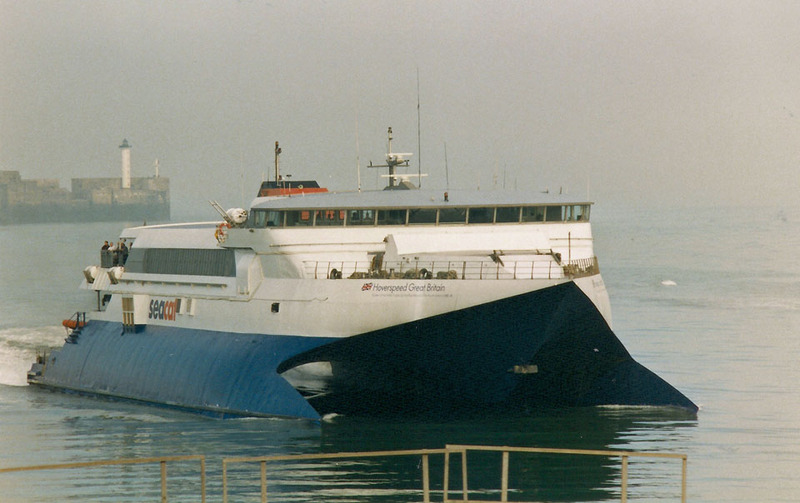 October 10th 1997: Chartered out for a single trip between Folkestone – Le Havre. 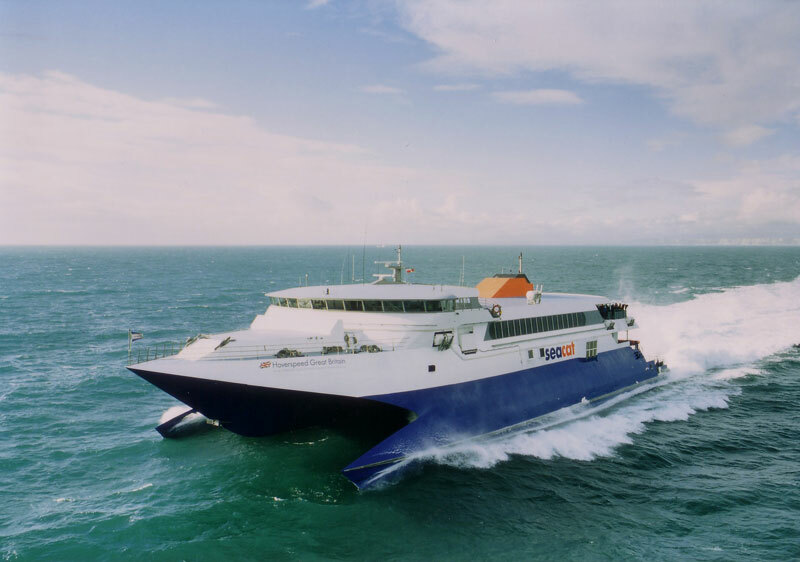 March 29th 2001: Commenced service between Belfast – Heysham. 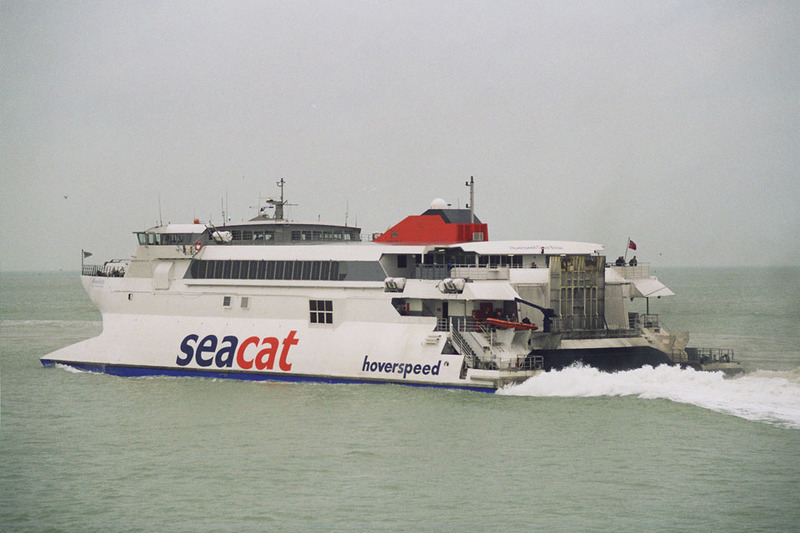 2002: Operated between Dover – Calais. 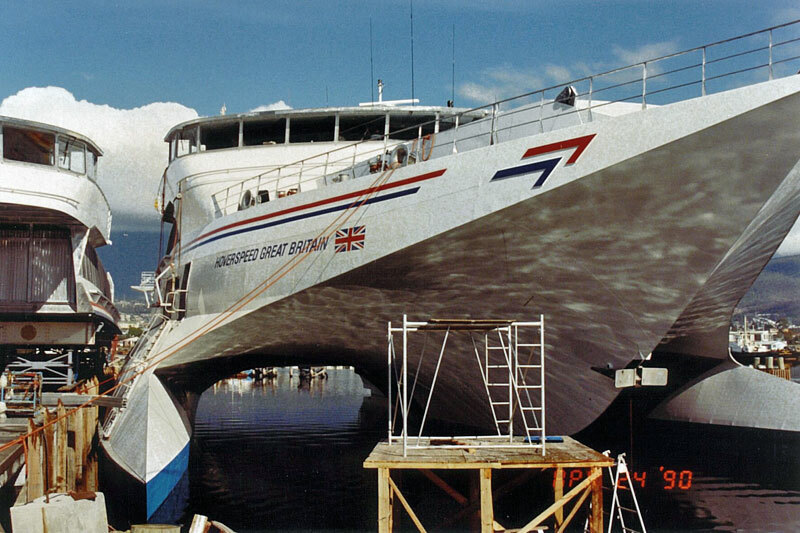 June 2003: Laid up at A&P Birkenhead, England. 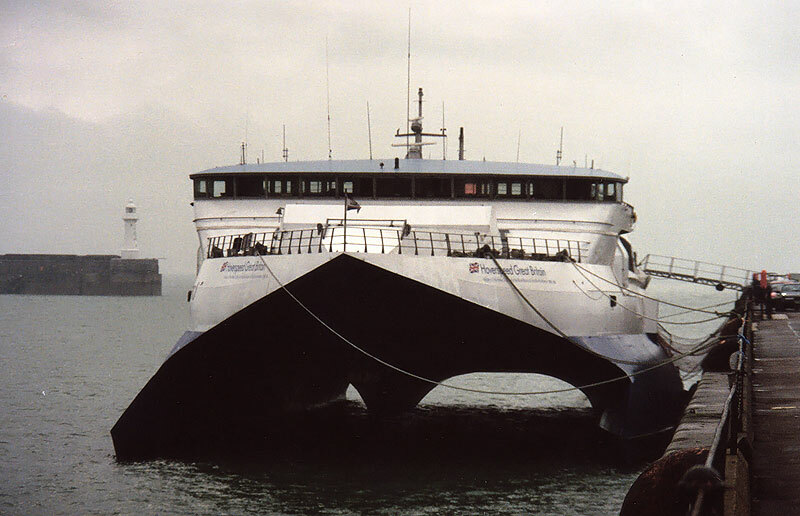 April 2004: Chartered to Emeraude Jersey Ferries. 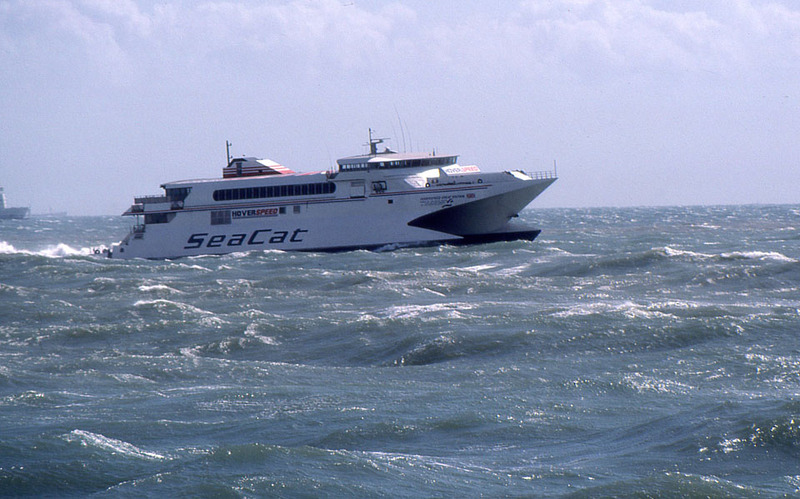 April 12th 2004: Arrived in St Malo. 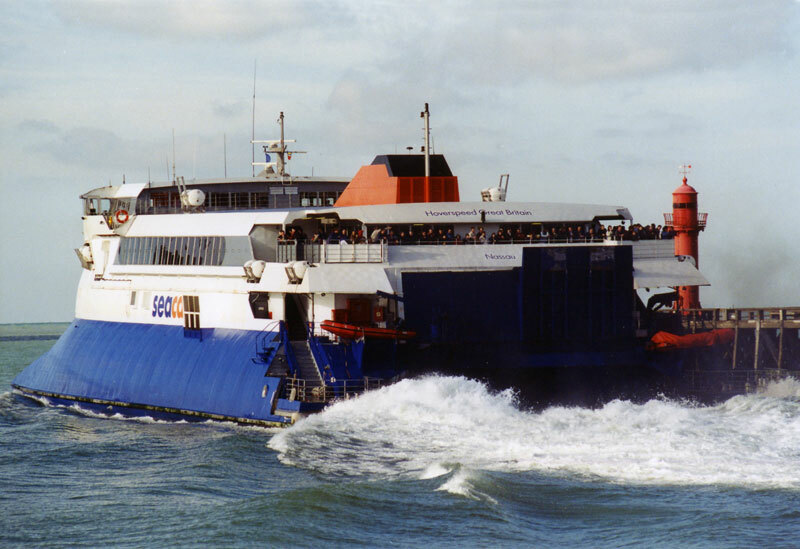 April 2004: Installed between St Malo – Guernsey/ Jersey. 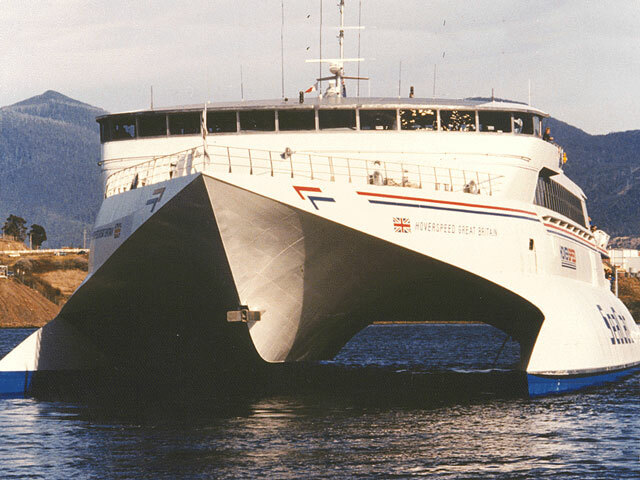 August 2004: Renamed EMERAUDE GREAT BRITAIN. 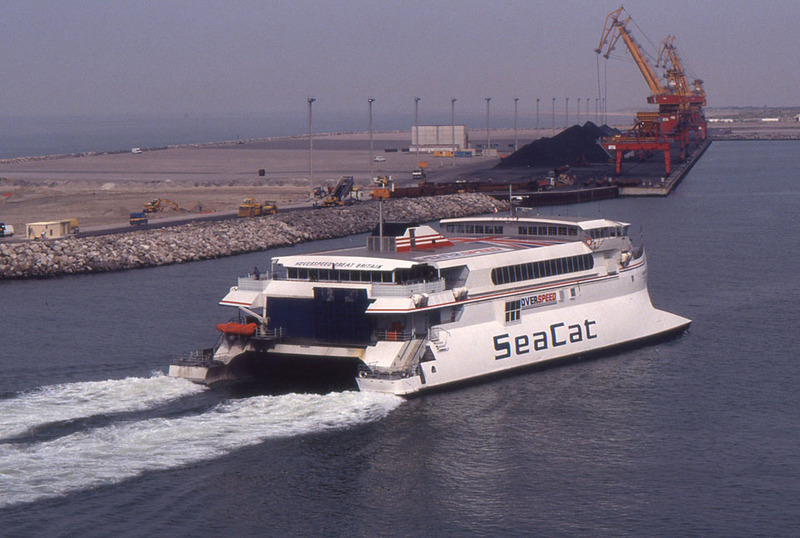 February 2005: Later left for the Mediterranean. 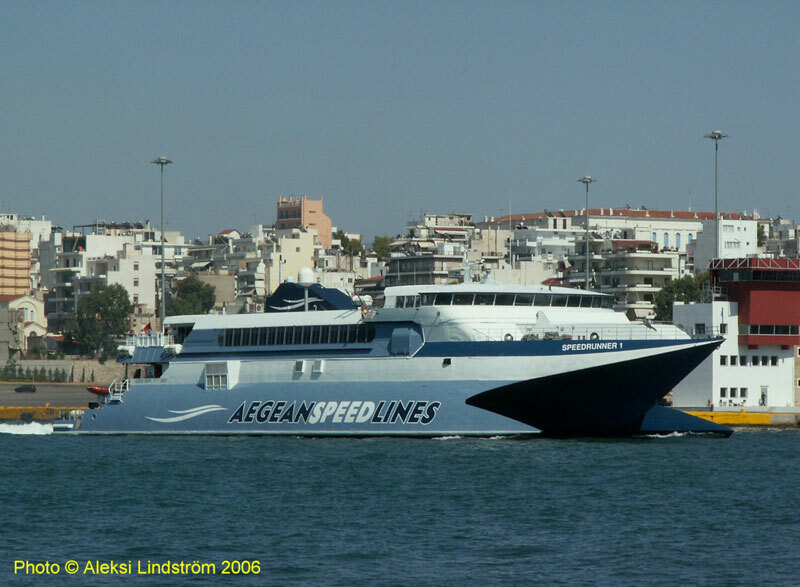 February 2005: Chartered to Aegean SpeedLines, Greece. 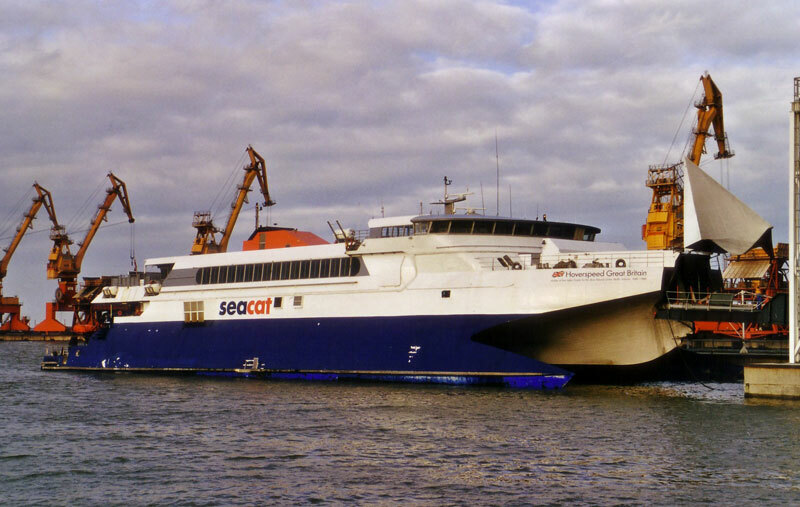 2005: Overhaul at Viktor Lenac yard, Croatia. 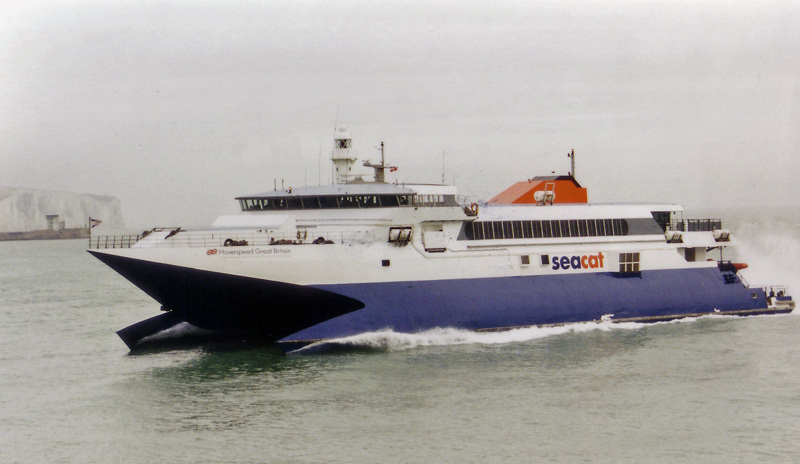 April 22nd 2005: Renamed SPEEDRUNNER I, (but still registered at Folkestone). 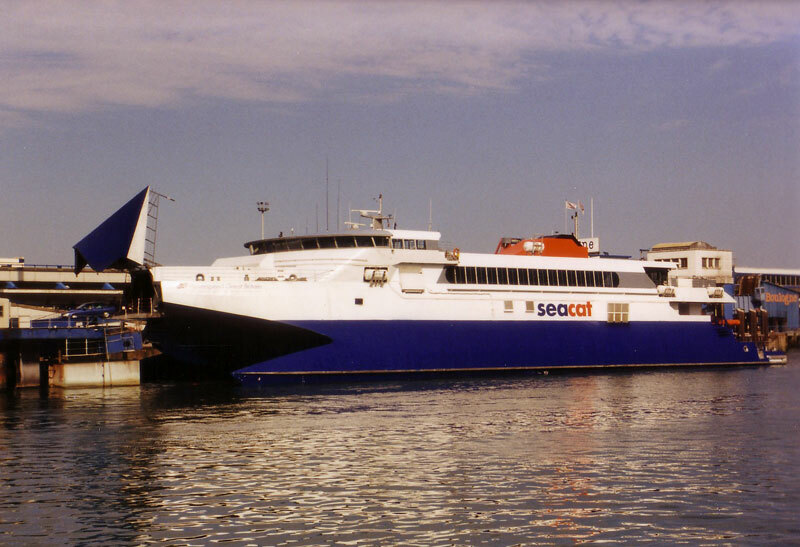 2005: Commenced service between Piraeus – Serifos – Sifnos – Milos (later to Paros). 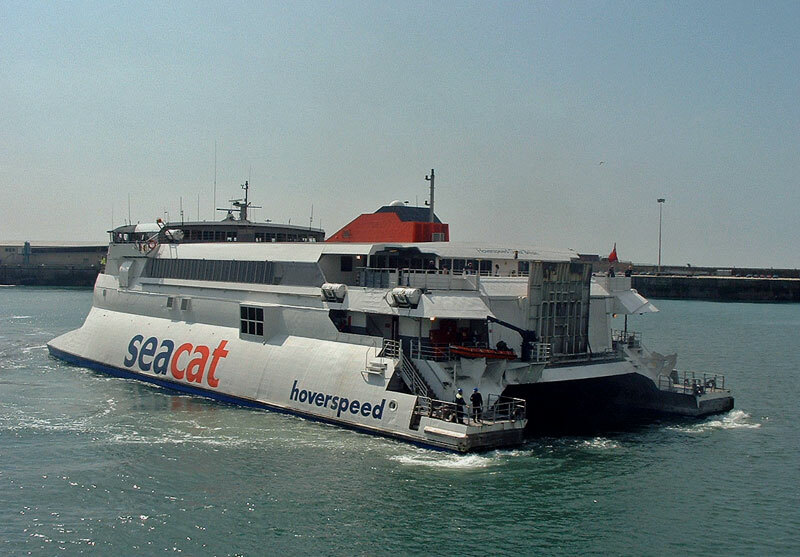 26th March 2008: Sold to Alpha Ferries, Greece. 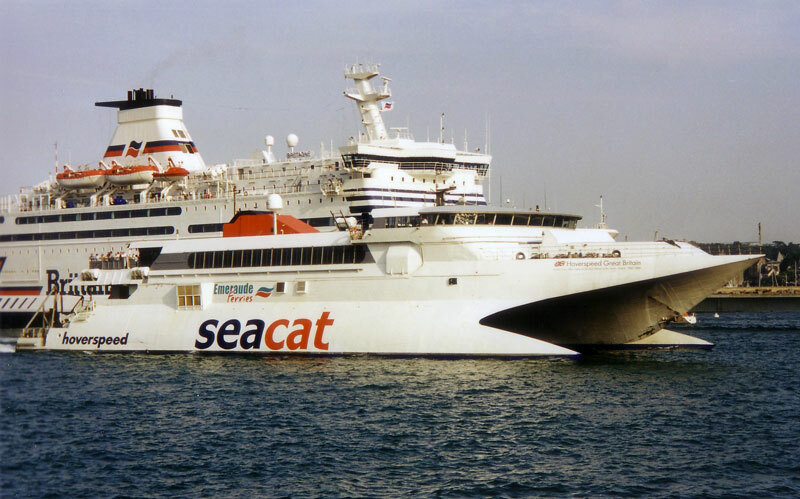 2008: Commenced service between Santorini – Crete. 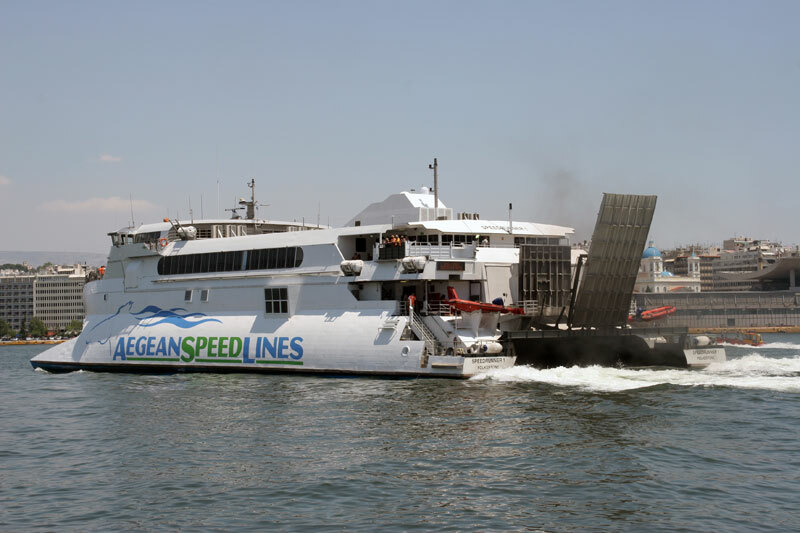 July 2011: Registered to Speed Maritime Inc, Piraeus, Greece. 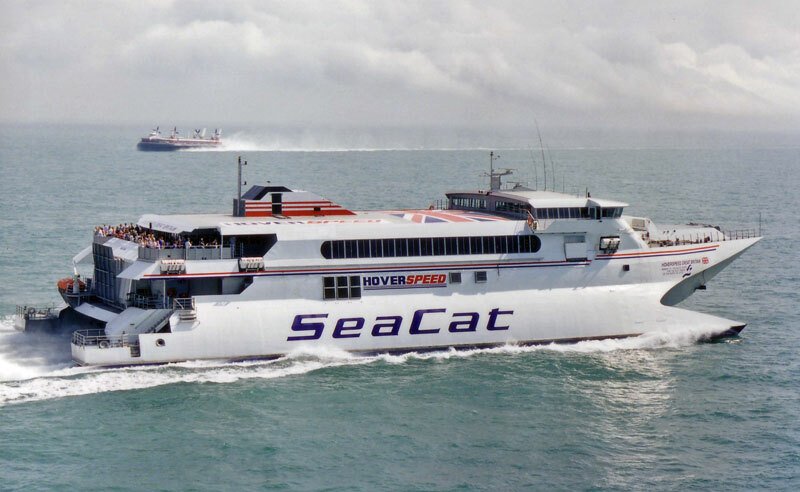 Manager: Seajets – Athens, Greece. Renamed COSMOS JET. 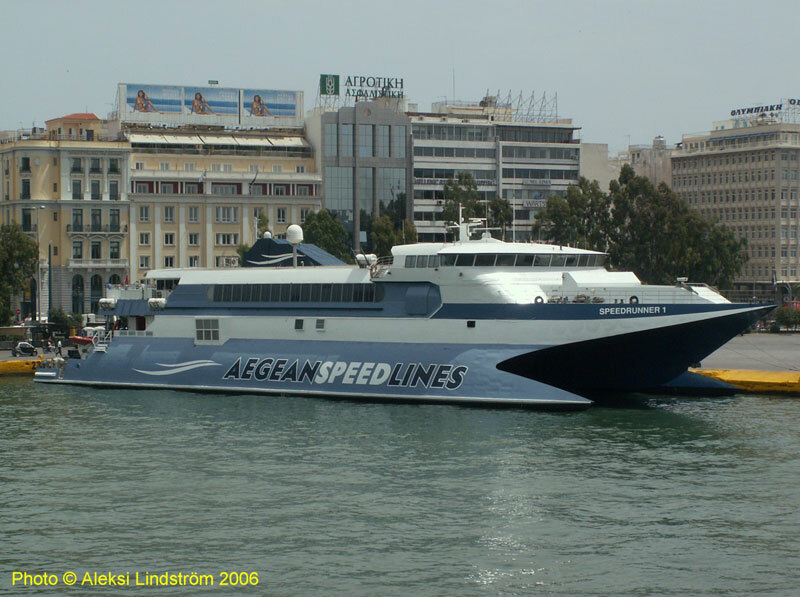 July 28th 2011: Left Piraeus for Rethymnon. 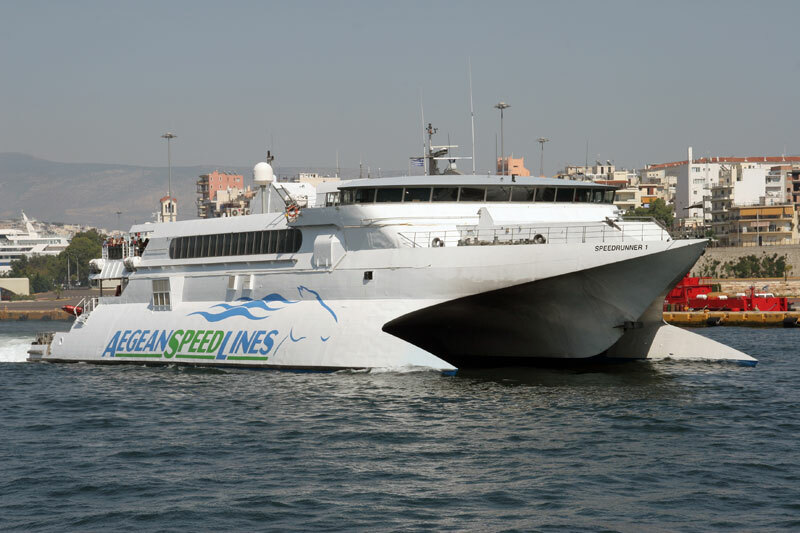 July 30th 2011: Commenced service between Heraklion – Agios Nikolaos – Santorini. 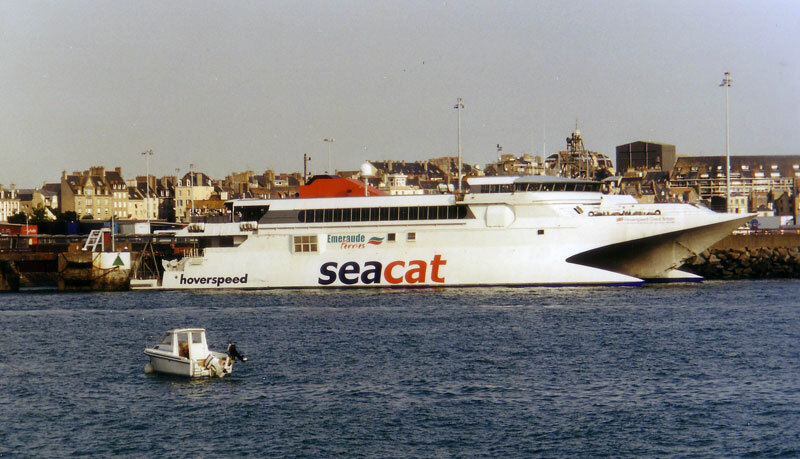 September 8th 2011: Laid up in Heraklion with engine problems. 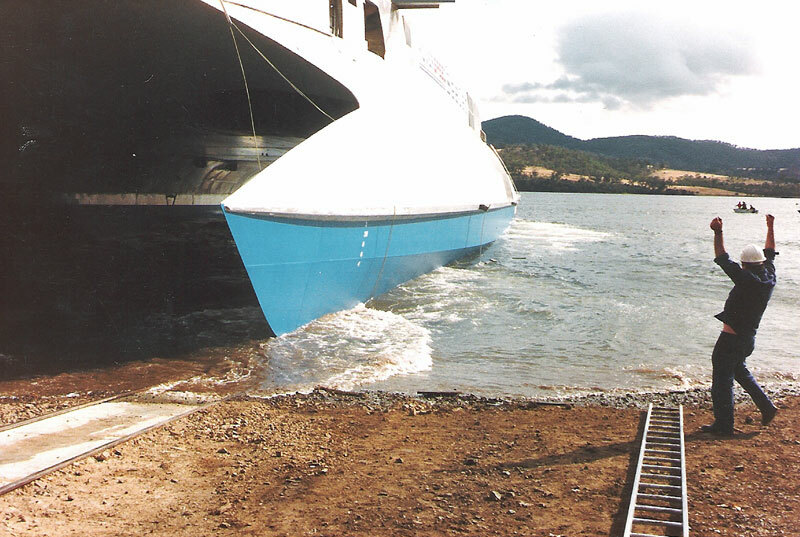 September 23rd 2011: Towed to Keratsini for further lay up. 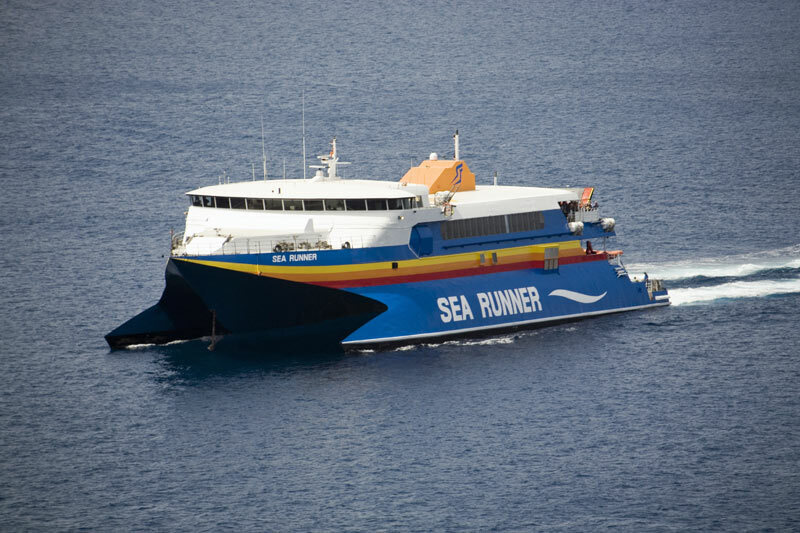 June 2012: Registered Owner: Kalan Shipping Limited, according to RINA out of class and laid up in Greece. 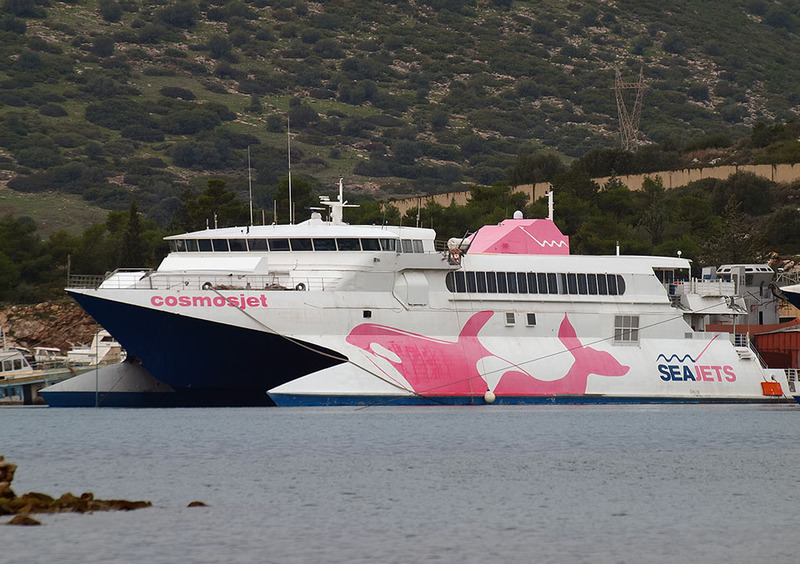 January 2014: Last known to be at Chalkis Shipyards, Evia Island, Greece. All information is believed to be correct and no responsibility is accepted for errors and omissions. All items included in this article are subject to ©. We would like to thank: Aubrey Dale, Manuel Dhondt, Efoplistis, Chris Howell, Pieter Inpyn, Ken Larwood, Aleksi Lindstrom, Justin Merrigan, Dennis Mortimer, Incat Tasmania Pty Ltd, Stéphane Poulain and Andreas Wörteler for their assistance in producing this feature.